If for some reason you thought The Hobbit: An Unexpected Journey needed to be even longer and filled with material that slowed down the plot, then you should get ready for the upcoming extended edition. Warner Bros. will release the extended edition, which contains 13 minutes of additional footage, on digital platforms on October 22nd. On November 5th, the extended edition will be released on 3D Blu-ray, Blu-ray, and DVD along with nearly nine hours of new bonus features. For me, that’s worth way more than the 13 extra minutes. Also, if nine hours of bonus features becomes the norm for each extended edition, that’s pretty damned impressive to have 27 hours of bonus material spread across three movies. Fans of Middle-earth will have the opportunity to gain a broader experience of The Hobbit: An Unexpected Journey, from Academy Award®-winning filmmaker Peter Jackson, when the epic fantasy adventure is released as an Extended Edition on Digital Download October 22nd and on Blu-ray 3D, Blu-ray and DVD on November 5th from Warner Bros. Home Entertainment (WBHE). A production of New Line Cinema and Metro-Goldwyn-Mayer Pictures, this new cut includes 13 minutes of extra film footage that extends individual scenes, making this the must-see, definitive version for fans. 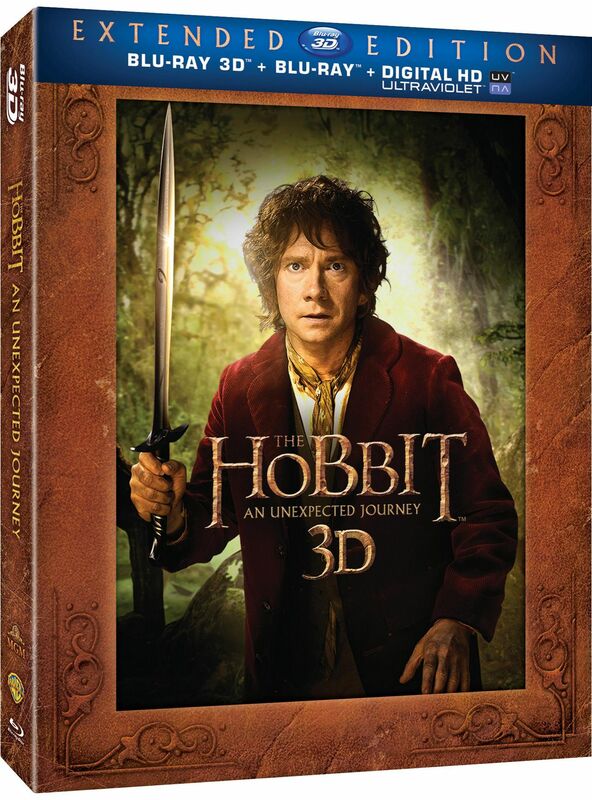 All disc versions of the Extended Edition include nearly nine hours of new bonus features and will be available just ahead of the December 13 theatrical release of the second film of the trilogy, The Hobbit: The Desolation of Smaug. The first of a trilogy of films adapting the enduringly popular masterpiece The Hobbit, “The Hobbit: An Unexpected Journey” was nominated for three Academy Awards®. – The Appendices – A multi-part chronological history of the filming of The Hobbit: An Unexpected Journey, covering pre-production in the various departments of the film in the months leading up to the start of principal photography, the boot camp training for the main cast, the work done on set chronologically through the three shooting blocks and in the world of its digital effects.